AutoNation same-store sales slide 2% in Jan.
Same-store sales slipped 2 percent in January for AutoNation Inc., the largest U.S. dealership group, though overall sales rose slightly. 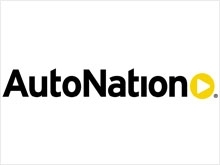 AutoNation sold 19,434 vehicles last month, up from 19,351 in January 2013, the company said in a statement today. Same-store sales were 18,964 vehicles, down from 19,351. AutoNation has acquired five dealerships in the past year. The retailer provided no explanation for the same-store slide, but weather is likely a factor. Automakers blamed severe winter weather in part for a 3 percent slide in U.S. light-vehicle sales in January. AutoNation broke down its sales performance by operating segment. Domestic-store sales slid 2 percent to 6,006 vehicles. Luxury-store sales slid 2 percent to 3,782 units. Import-brand sales rose 3 percent to 9,646 vehicles. The five acquired stores were all import-brand dealerships.